I imagine having coffee with you. I would arrive early (as is my habit), flip through notes, try and get my thoughts in order. The meeting would take place on a gray day, with static in the air. Some might call it magic. You walk in on time, auburn hair and matching dark nails. You sit down across from me, eyes wide and kind, and introduce yourself as Jo, even when millions around the world know you as JK Rowling. I’m already on my second cup of coffee, jittery with nerves, unsure of where to start. After all, what do you say to someone who has given you so much? Even in this imaginary meeting, it’s difficult to know where to begin. You’ve been told many times over that you gave people their childhoods, that the world of “Harry Potter” was a refuge as much as a bible. That you introduced magic in more ways than one. What can I say that others haven't? “Harry Potter” was the first novel I read as a child. As my family’s folklore goes, my mom began reading it to me and my sister but, not loving it, stopped. I, an overly ambitious five-year-old, did love it. And so I spent the rest of my kindergarten year walking the grounds of Hogwarts with Harry, Ron, and Hermione. That was the first year I began to say I wanted to be an author when I grew up—an author like you. I’ve watched many interviews of you, listened to you speak in your soft, slightly quick voice, and heard your story. You, too, wanted to be a writer when you were a kid, spinning tales at five or six, always called back to words. I recognize this child because I, too, was her. I wonder if you have kept your early writings, as I have kept the “books” I wrote throughout elementary school. I know at the very least, you saved your rejection letters, pinning the very first to your wall, saying it made you feel like a real writer. I don’t know if I’m a real writer yet, but I’m working on it. And I hope I can have even an ounce of your fortitude. I think about Harry and his immense strength; even Neville, and his quiet strength. You are a woman of strength, Jo, and it would be remiss not to say how much I look up to you. Hearing that, I felt incredibly understood. This has been a difficult year for me, in the way that years are so often difficult (as I’ve been told) at this age. At one particularly low moment, I turned back to the books that had brought me so much happiness as a child. They didn’t fail to live up to my memory. I was filled with joy, and more than that, hope—hope that I so desperately needed. Even when everything in my life was shifting, Harry and his world were there, as if I had never left them. And as I entered the world of my childhood, reread words I'd read so many times before, I thought of you: the woman behind it all. You once said the books wouldn’t be how they are if your mother had not passed away. Even in your grief and difficulties, you created something beautiful. You wrote something you needed as much as you wanted to write it. And as it turned out, the world needed the gift you gave them. You have brought people together in an extraordinary way, creating a community that, while immense, is hardly devoid of warmth. 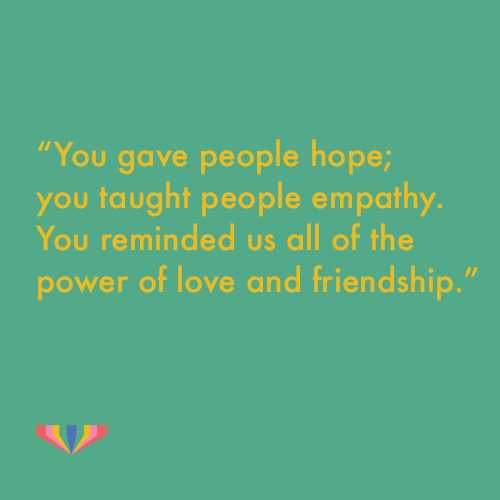 You gave people hope; you taught people empathy. You gave us a world not so unlike our own, full of joy and sadness, but also full of magic and evil. Full of Death Eaters and Order members and everyone in between. You reminded us all of the power of love and friendship. I don’t pretend that my own year in any way compares to the hardships you've gone through; or that I could create a gift like “Harry Potter”. But in the same way you gave me the hope of magic as a child, you’ve given me the hope of perseverance as an adult. And maybe at the end of this period, I'll have something to give to others. When I think about who I want to be as a writer, I think about you. Not because of the fame, but because of the empathy. If I can make even one person feel less alone—a gift that you’ve given to millions of readers—I will feel as though I've made you proud. I don't wish to idealize you. It is something I do with people that I love or look up to. You are just a person, after all. An extraordinary person. But still—a person. A person to whom I am, and will always be, extremely grateful. You’ve said before that what you know for sure is that “love is the most powerful thing of all.” I have to believe, in a world where magic does not quite exist in the way it does for Harry and his friends, (in perhaps the way that we wish), that what you say is still true. And that in the end, love wins. And maybe it is cheesy, but so often, the cheesy things are true: love is the magic we are looking for. And now I know how I should have started this letter. So, let me begin again: thank you, Jo. Thank you for filling my childhood with magic I never could have imagined, magic which taught me to dream, magic which taught me that words can cast enchantments. Thank you for being the kind of role model who I will always be proud to look up to. And thank you for Harry, and Hogwarts, and a world which I can always call home. 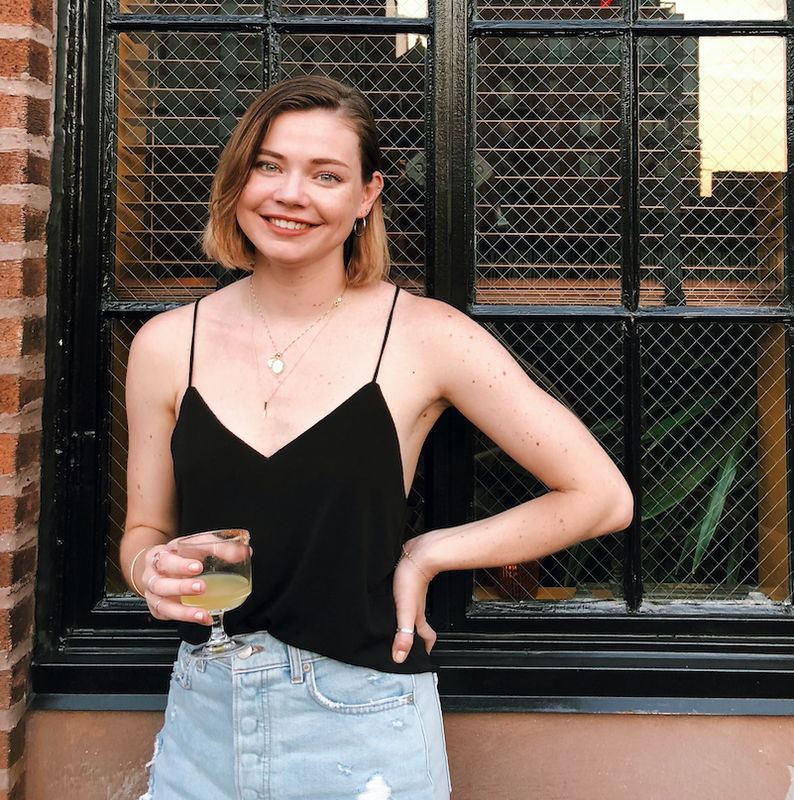 By day, Amber works in PR, and by any other time she’s figuring out life as a twenty-something in NYC — which normally involves some form of writing. Check out her beautiful, honest blog at whatamberwrote.com and follow her on Instagram @whatamberwrote. © 2019 GIRL CRUSH, LLC. ALL RIGHTS RESERVED.